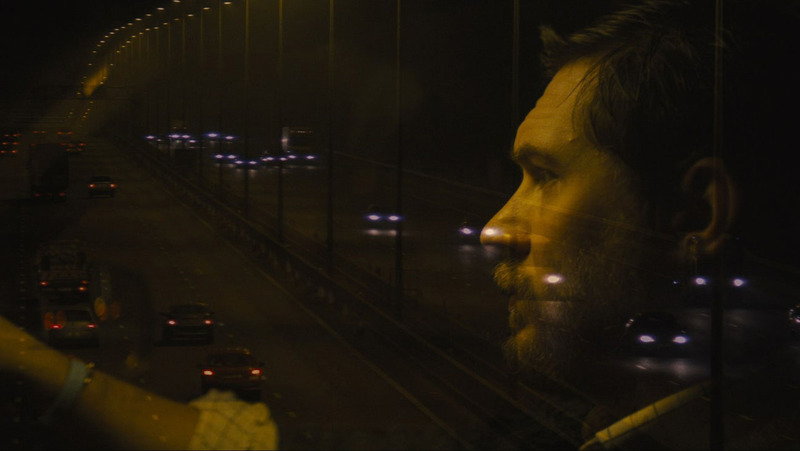 Locke is a wonderful, exciting, deeply felt character drama starring the great, multi-faceted Tom Hardy, and I am eager to delve into why it is such a mesmerizing piece of work. But first, I must clear the air. There has been a lot of talk this year of gimmicks, from Birdman’s single take to Boyhood’s 12-year scope to Grand Budapest Hotel’s decade-specific aspect ratios. Frankly, I am wary of this word, which seems to have become more of a qualitative judgment than a description. For instance, I might be tempted to call the 5-minute tracking shot in Atonement a gimmick, because I think it does little more than call attention to itself and inject some impressive spectacle into an occasionally listless film. But others would argue that the shot carries immense emotional significance, giving a full sense of how far the film’s tragedy stretches. And they would not be wrong. In fact, I rescind that opinion, because Joe Wright deserves a lot more respect than that, my issues with the film notwithstanding. To reduce a film to its gimmick is to make the conclusory statement that the stylistic device does not accomplish much and that its other merits (or even flaws!) do not even deserve further analysis. Of course, there are films that do lean too heavily on clever tricks and even use that style to cover up glaring deficiencies. And they should certainly be called out on that. In detail. I would much rather hear specifics as to why a film does not work than to see it slapped with the lazy “gimmick” tag. It does little more than beg the question of why a film does not otherwise work on its own terms. I would never call the chronological slicing and dicing in Pulp Fiction a gimmick because it is so essential to the moral weight of the story. I would never call Rashomon’s use of unreliable narrators a gimmick, nor would I use this dismissive term to describe Chantal Akerman’s all-encompassing focus on domestic tedium in Jeanne Dielman: 23 quai du Commerce, 1080 Bruxelles. So-called gimmicks that actually improve great films deserve a less condescending word for crafting their own intelligent style. But those that do not work still merit a better description than gimmicky. As I see it, the word bypasses interesting discussion, and just as often tends to shut it down entirely. All of this is to say that, if all you know of Locke is that it takes place entirely in a car with a single human being, I urge you to see past its catchy conceit. 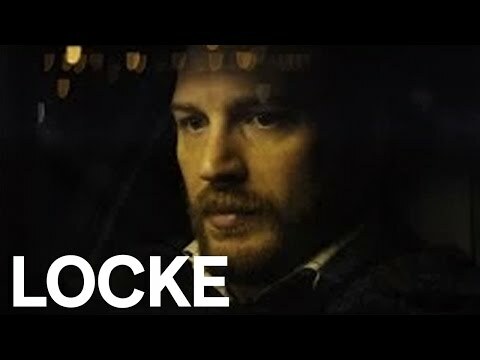 Locke is the story of one seismic night in the life of Ivan Locke, a British construction foreman who is very good at his job. Over ten years working for his construction firm, he has amassed a great deal of clout, largely through being steady, forthright, and open with his co-workers. He carries the same noble straight-shooter demeanor with his wife and two sons. On the night we meet Ivan, his family is eagerly waiting for him to return home where they will all eat sausages and watch the football match together. What we quickly learn is that Ivan will not be returning home tonight and may not ever see his home again, at least in the way he has come to know it. In spite of his steadfast nature and cool head, Ivan is still a human being, and he has made a critical error. On a business trip to London nine months earlier, he drank too much and made the mistake of cheating on his wife with a lonely hotelier. On this fateful night, Ivan learns that her water has broken two months early, on the exact same night construction is scheduled to begin on the project of Ivan’s career: a massive, 55-story skyscraper in the heart of Birmingham. In spite of the enormous professional jeopardy it brings him, Ivan places an underling named Donal (smartly voiced by Andrew Scott, from Sherlock and Pride) in charge of everything and starts driving the 117 miles between Birmingham and London. On the way, he must negotiate with his supervisor, explain his infidelity to his wife for the first time, check on his sons, guide Donal in doing Ivan’s job, and soothe the frightened woman giving birth to their child. This all sounds like a recipe for the story of a man slowly losing his sanity. But, while Locke has a lot to do with loss and change, its hero remains a constant. Rather than letting the strain crack him, Ivan Locke consistently eases the minds of those he talks to, even when the fear or sorrow in their voices is there on his behalf. More than the claustrophobic setting, which Knight and his cinematographer shoot with just enough visual panache to help keep our eyes on Hardy rather than our watches, the biggest risk the film takes is in portraying Ivan Locke as a man of almost unflagging decency. Knight and Hardy set themselves the challenge of taking a man who mostly just wants to do the right thing and making him interesting rather than a saintly bore. When I first heard a friend describe the film with excitement and then explain that it all took place in a man’s automobile, I was certain that the filmmakers would spike the virgin punch somehow. Cynically, I figured there must be a shoot-out or a car chase somewhere along the way, or at the very least an antagonist. But such rash action would be anathema to both the film and its character, who is only interested in owning up to the wrong he has done in the past, not creating more for the sake of excitement. Ivan even refuses to break the speed limit, because an officer might pull him over and keep him from reaching the birth in time. Moreover, Locke has no real antagonists, not even the departed, deadbeat father to whom Locke periodically delivers furious soliloquies. That father may have been a weak man, but Locke would be the first to say that the nearest thing the film has to a villain is himself, or at least the human frailty he acted upon nine months ago. 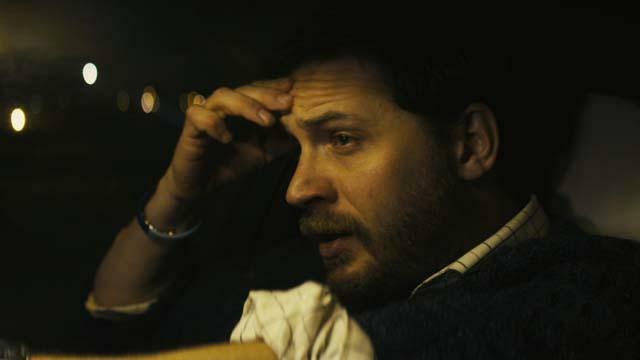 To reiterate then, Locke is a film about a good man driving for a couple of hours to make the best of a bad situation he created, overseeing a construction project from his phone, and dutifully accepting the resulting indignation of his loved ones and colleagues along the way. Thankfully, the film speeds over this hurdle of boredom with aplomb. Perhaps, the biggest ingredient in their success is Hardy himself, who makes moral fortitude gripping and moving. He speaks in an accent that is both soothing and allows Ivan’s anxiety to occasionally bubble to the surface. What could have been a parade of tics in lesser hands, is both tremendously entertaining and wholly realistic because of Hardy’s gift for dialing back what must have seemed like bombast on the page. He trusts the writing and seems to know those scenes will still feel big even if he does not knock himself against the rafters every time. Ivan allows himself one moment to bellow out a curse and, much like Robert Redford in All Is Lost, the momentary lapse into profanity feels completely earned. After watching Locke, I was both taken aback at how exciting it was to watch a person do the right thing and still unsurprised that very few directors and actors have the talent to make such a simple act crackle like it does here. Knight also gives the mise-en-scène just enough variety to keep things visually interesting. Police sirens frequently appear behind Ivan’s vehicle and then pass in front of it, keenly capturing the feeling of being on the run from some invisible force. And, finally, the script is sharp, observant, and often funny. Even though Ivan is a paragon of virtue, the writing does not allow him perfection. He makes a fatal error in forgetting to give Donal the folder for the project, and must fight dearly to correct that mistake. A late conversation with his wife about Ivan’s driven nature reminds us that there is a thin line between noble dedication to one’s work and the megalomania of careerism. It is to the film’s credit that Ivan is a just a flawed, focused man striving mightily to be good, rather than a virtuous cipher out to correct the only error of his adult life. 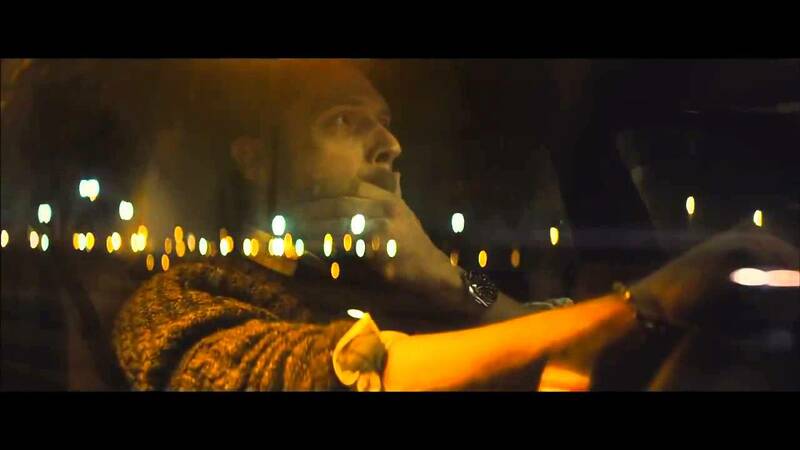 Locke is an exciting, exceptionally acted morality play, like the steeliest, most stylized film Eric Rohmer ever made. While it has several verbal fights, it is not nearly interested in melodrama as it is in the small details that our worlds rest upon. “Do it for the concrete, which is as delicate as blood!” Ivan urges Donal when his young charge is mired in inebriation and self-doubt. Respecting the fragility of the lives we build is the core of Ivan Locke’s character, and he stands by this mantra even if it may be too late for him to save his old world from crumbling. 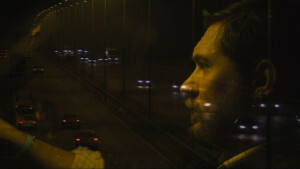 The film is interested in concrete, as both a metaphor and an important tangible part of Ivan’s world. Doing right by the concrete details of our lives, whether in a large-scale business project or the nuances of our relationships, is the noblest thing a person can do. Rather than trying to make boring subject matter falsely exciting, Locke insists that the details of something seemingly banal, like the proper pouring of concrete, can be the most riveting thing in the world, when the world of a great character depends upon it. It is never too late to do the right thing, though that does not mean we can ever live in a world free of consequence. Sometimes even the process of making good on our mistakes can change our lives irrevocably, close doors and roads behind us. Nonetheless, if we have the integrity to continue down a good road, it must surely be worth the while. There must be a fine new world waiting to embrace us, even when there are no roads left to lead us home.